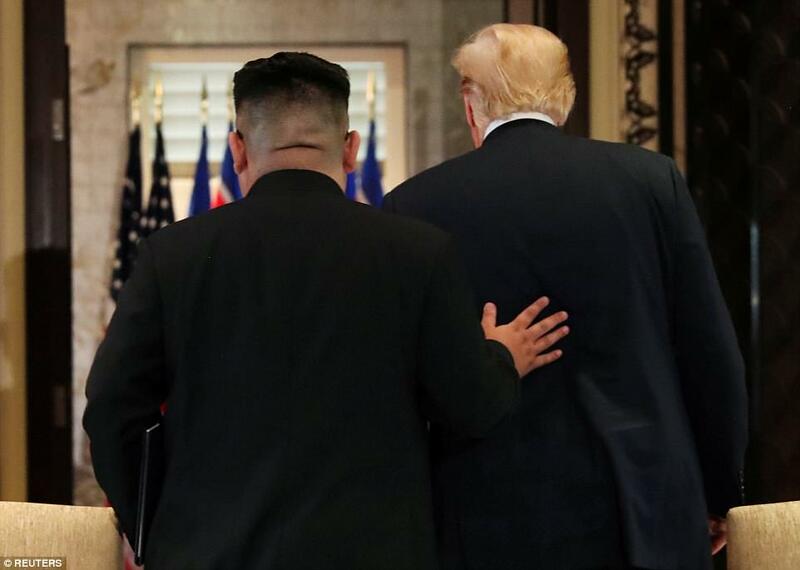 Nearly 70 years ago, the war ravaged the Korean peninsula, and in effect the war never ended, until Donald Trump and Kim Jong-Un put pen to paper, shook hands and exchanged camaraderie’s in the meeting that stunned the world on June 12th of 2018. Kim Jong-Un arrived at the Capella Resort on Sentosa Island, moments before Donald Trump, who arrived one minute before 9am, after which they emerged to be photographed in front of the nations’ flags (blue, red and white) in a striking similarity, with firm handshakes, a couple of smiles, pats on the back and thousands upon thousands of photos from the world’s media. This followed a sit down photo opportunity with both leaders exchanging words and a few comments to the press, before disappearing into private talks, which were then followed by a sit down meeting for lunch, with both nations’ teams by their side. 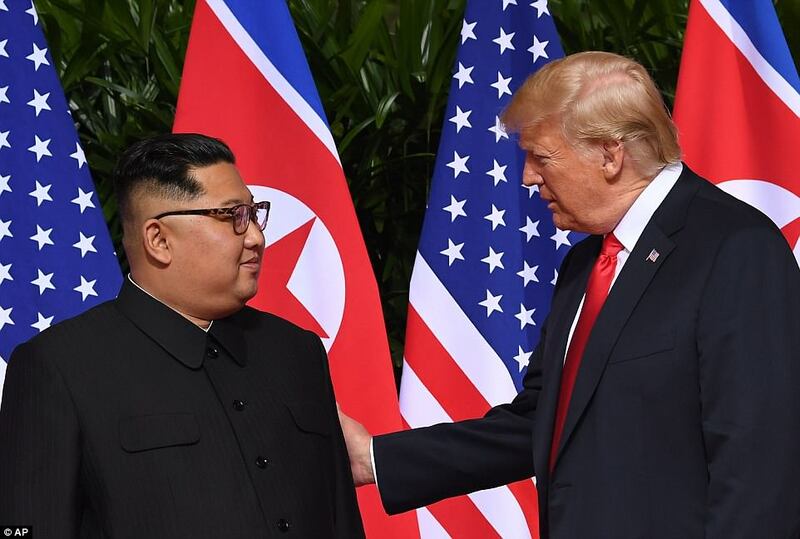 A sense of warm friendship and progressive solutions emanated from the meeting between Donald Trump and Kim Jong-Un, with plenty of memorable moments on the day. One of which was Dennis Rodman being reduced to tears live on CNN, after he shared his story of him trying to get Barack Obama to talk to Kim Jong-Un, but was shunned and even expressed that he had received death threats after visiting North Korea all those times in the past. His happiness was pure television gold, as he was overjoyed and relieved to see his two friends ironing out a peace deal for denuclearization of the Korean peninsula before our very eyes. Surely, this made CNN unsure of what to do next, with Chris Cuomo then handing the show over to Don Lemon, as the victories for Donald Trump, Kim Jong-Un and moreover the world, went on for all the inhabitants of planet Earth to see. 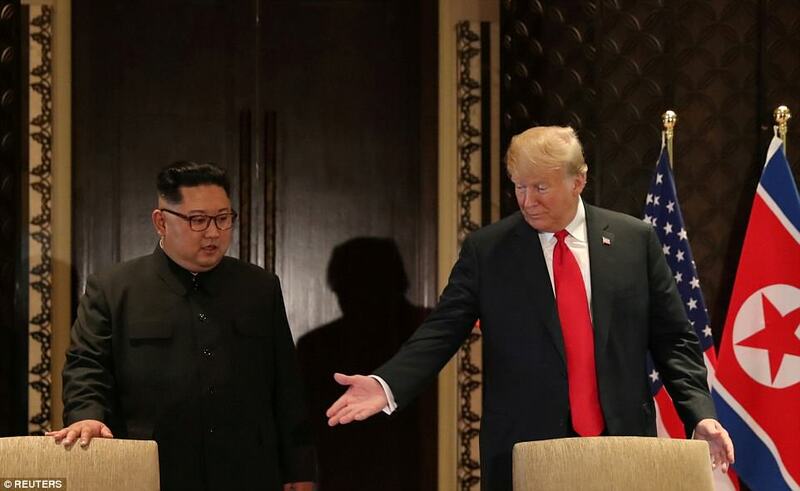 “Peace is the Prize” as Donald Trump had always said, with the U.S. and South Korea now abandoning military exercises on the Korean peninsula, and called them “provocative” to the North. Trump said about the meeting, “We’re much further along than I would have thought” and he predicted a time when the two nations would have already exchanged ambassadors and they both will have personally visited Pyongyang and the White House. Furthermore, Donald Trump mentioned that he looked forward to easing up the economic sanctions on North Korea, and removing them completely, stating, “Actually looking forward to taking them off” as soon as Kim Jong-Un abides by the terms of the agreement. “Anyone can make war but only the most courageous can make peace. The current state of affairs cannot continue forever,” Trump said. “I think it will change. I think it probably will have to” said Trump, whilst predicting that the “winners” will be the captive people inside prison camps in North Korea. Donald Trump said, “We’ll meet again. We’ll meet many times,” and cordially signalled Kim Jong-Un’s future invitation to the White House. The evening before the historic Singapore summit, Kim Jong-Un had been seen visiting Singaporean landmarks such as the Gardens by the Bay, the Marina Bay Sands and other sights, cementing his new and modern image to the world, in extraordinary scenes that garnered cheers from onlooking crowds, likened to that of the arrival of a rockstar. During the summit Donald Trump showed Kim Jong UN a simulation of the future of North Korea on an iPad, saying that they had wonderful beaches, that could be used to develop resorts and hotels in the nation, if he upholds his promises as part of the Singapore denuclearisation agreement. 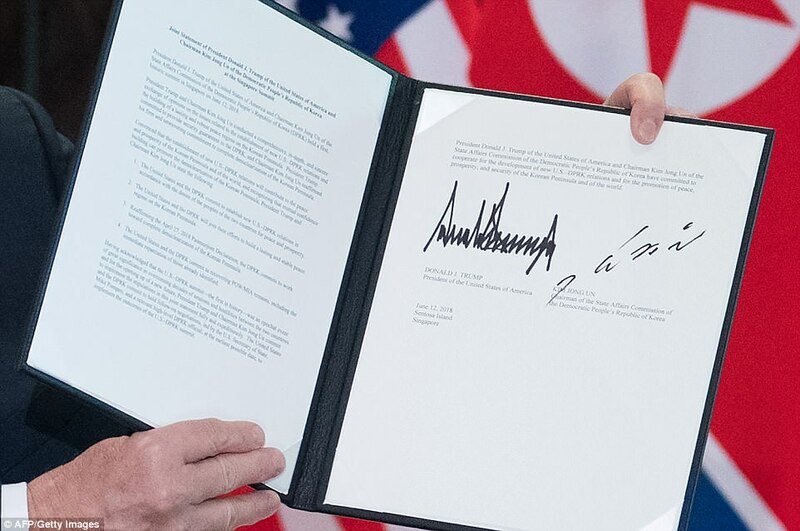 After the end of the summit, Trump left Singapore immediately with a busy schedule ahead of him back in the United States of America and with Kim Jong-Un heading back to North Korea, with expectations on both parties to honour the Singapore summit agreement. Well, there you have it! Whilst, the mainstream media is caught up in this historic news, Donald Trump has even more unrelated tasks on the agenda, and Kim Jong-Un and Trump’s meeting can be classed as a big success. 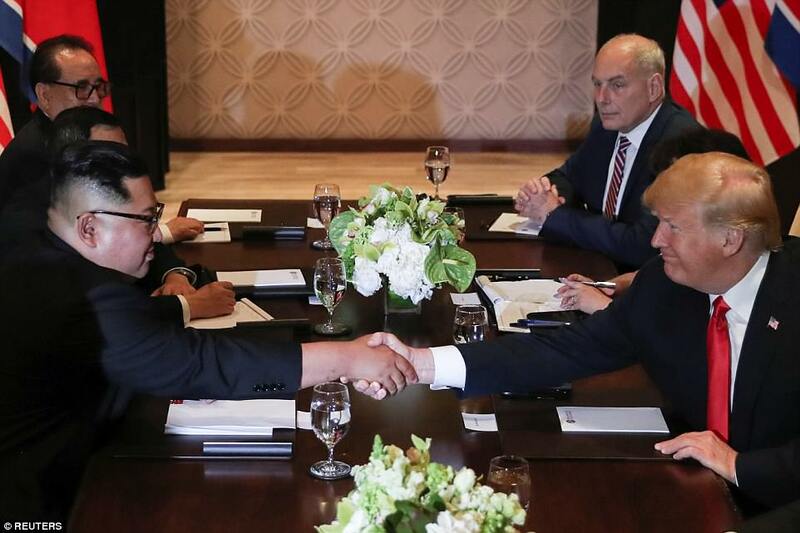 Some say that a deal was already in place before the summit, many months ago, and this may be just why, we will soon see Kim Jong-Un and Donald Trump meeting again in the very near future, once everything in the agreement has been entirely honoured. Big man Dennis Rodman’s full CNN segment at Singapore Summit. Watch!